The economy is crap. Jobs are hard to find. If you have a job, chances are your salary is not being increased by much if at all. Gas is getting closer to $4.00 a gallon every day. If you live in the Northeast, heck – even if you live in the southeast, you’re freezing your tuckus off and likely paying a handsome ransom every month to a lovely energy company. So what do you do to save a few buckaroonies during these trying times? Below are some of my tricks for livin’ on the cheap (some more creative than others) so you can actually LIVE your life. Enroll in Leisure Rewards Programs – Who carries cash around anymore? Most of us use our debit cards for everything. If your bank offers a Rewards Program connected to your debit card SIGN UP! Even if there’s a minimum annual fee it’s worth it. When you make a purchase using your debit card and put it through as credit you earn points and can redeem them for a whole slew of good stuff. I use my card to pay bills as well to really rack up the points. I’ve used points to get gift cards to give as Christmas presents and to get things for myself too of course like Starbucks and Dunkin’ Donuts gift cards (to help fund the caffeine addiction), grocery gift cards, gas gift cards, Target gift cards, and movie tickets! It’s fabulous! And since you are going to have to spend the money anyway, why not get rewarded for it! Cheap Chicken Friday – I have to give credit to a fabulous summer intern at the office for turning me onto this. He also works at Stop & Shop and clued me in on this deal of the week. Every Friday is Cheap Chicken Friday and you can pick up a prepared roasted chicken for just $5. If you’re creative and only have to cook for one or two, you can make it last a few meals. Carve it and serve it with sides, shred it up and throw it in as a protein for your salad … and then when there’s no meat left, boil up the carcass and make your own chicken stock for soup. Not bad for just five smackers! Make-Believe Member – Even if you’re not a member of a wholesale or discount club like BJ’s, Sam’s or Costco you can be a make-believe member. It might not be worth it for you to pay for a membership, but I’m sure one of your friends or someone in your family has found it worth their while to sign up. You can simply borrow their card to stock up on the bulk items you use most. It’s worth it! And make sure to use your debit card to rack up th points. The savings and the reward points are worth a trip to the mayhem of the wholesale store. 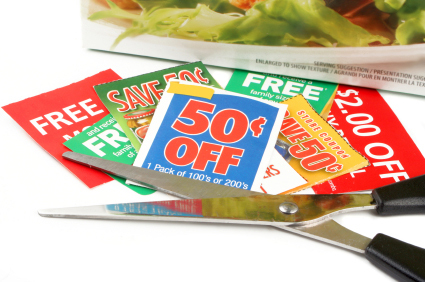 Coupon Creativity – It does take time and a bit of strategy, but with a lot of stores offering double coupons the savings can be big. This can be done both the traditional way as well as online with sites like Coupons.com and RedPlum.com. It’s also worth it to actually sign up for those annoying emails from your favorite stores. Sometimes you get really great exclusive deals and coupons making the annoying emails totally worth the annoyance. Socially Savvy: The world of Social Media has opened the door to a plethora of new avenues for saving. Heard of Groupon? Have a Facebook and/or Twitter account? Are you on Foursquare? All of these and more will help you find great deals. Sign up for Groupon to see local deals and if you take the time to answer a few questions Groupon will serve up deals especially for you. Become a fan of your favorite stores, restaurants, etc. on Facebook and look out for special fan savings. Follow your faves on Twitter to keep on top of the sales and special deals. Also try following things like @CheapTweet or @GoFrugal. They pull all kinds of deals from the tweet-o-sphere and there a lot more like them to follow to keep on the latest and greatest bargains and discounts. Use Foursquare to check-in to shops and restaurants. You’ll be notified of special deals not only at the store you check into, but if there are deals nearby you’ll get a notification for those too. And if you visit a place frequently enough to become the “mayor” there are sometimes added incentives. Yes, Big Brother is watching, and it can be kinda creepy, but ya never know what kind of deals you’ll come across! FreeSharing – What’s better than FREE?!? Check out FreeSharing.org, the next generation of recycling. FreeSharing, also known as Free Recycling or Freecycling, is when you have an item you no longer need that is just too nice to put in the trash and you give the item away through your local FreeSharing group. You can also put a WANTED message out to your group for items you’re specifically looking for. As the saying goes, one man’s junk is another man’s treasure. Check it out! Back to Bartering – Go back to the old way of doing things and get back to bartering! Instead of exchanging those pieces of green paper we call money, use your skills and talents to get things you need. People are more willing to barter these days as everyone is trying to cut back on spending, so use your resources. Who do you know? You probably have a wealth of opportunities in your immediate circle of friends and family. 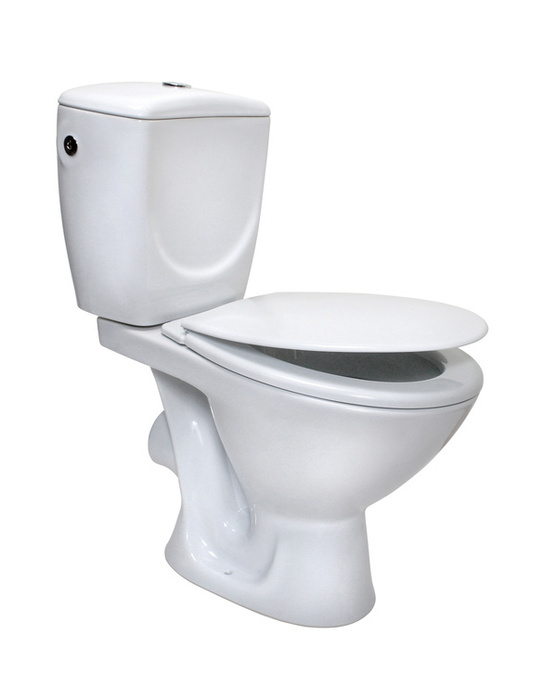 Potty Training – Yep, that’s right kids. Potty training. I’m sure if you’re reading this you’ve been potty trained for years (I hope), but now you can train yourself to use the bathroom at work or any other public places as much as possible. Why, you ask. Because it saves money on toilet paper! Oh, and the water bill as well and technically cleaning products because if you’re not using your toilet as often you won’t have to clean it as much. Are you with me here? My Mama used to joke and say we were only allowed three sheets of toilet paper per use because we went through it so quickly. She also used to say she was going to put a pay meter on the bathroom door. That woman was wise beyond her years! Now that I’m paying for my own toilet paper and water, etc. I totally get it! So, those are just some of my ideas for livin’ on the cheap. What are yours? Tags: barter, cheap, coupon, Credit card, Debit card, facebook, Four Square, FreeSharing, Groupon, Loyalty program, postaday2011, saving, social media, Stop & Shop, twitter. Bookmark the permalink.